An event aiming to raise the profile of Allerdale in Manchester has been hailed a success. 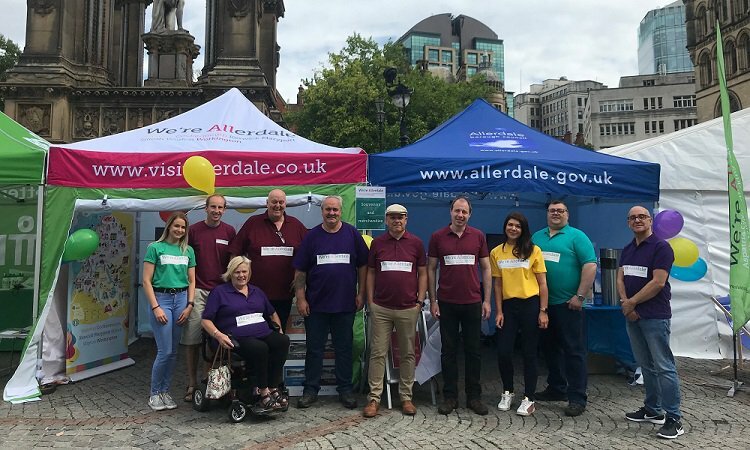 Allerdale Days in Manchester took place on Friday 10 and Saturday 11 August and was organised by Allerdale Borough Council and CN Events, showcasing local businesses across a range of industries to promote the area and attract tourism and investment. An evaluation carried out by Red Research showed that the event had a positive impact, highlighting that perceptions had been changed for many attendees. Many said they would now like to make a visit to Allerdale, some hadn’t realised how close it was, or what the district contains, and many mentioned the passionate people and welcoming atmosphere. Over 90% of people said that the range, presentation and quality of stalls was either ‘very good’ or ‘good’, and overall visitor satisfaction was high. Sponsored by TSP Engineering and BEC the event consisted of a mini Taste Cumbria food festival, a drinks tent run by Jennings and Tractor Shed Brewing, live music and virtual reality experiences. Businesses including M-Sport, GLL, Iggesund, Cumbria Tourism, Lakes College, University of Cumbria and Honister also attended the event at Albert Square to offer information and activities in the corporate area. In addition, a drinks reception sponsored by Lakes Distillery was held on the Thursday evening to welcome attendees, and included speeches from the sponsors and the Deputy Mayor of Manchester, Beverly Hughes. Satisfaction with the event was very high. Nobody gave the event a negative rating. 11% rated it as ‘very good’ and 80% rated it as ‘good’. One in ten said it was just ‘ok’. 94% of people interviewed said they would like to come to another, similar event in future, and would recommend the event to others. 72% had never heard of Allerdale before the event, and 21% had heard of it, but never visited. Over 90% of people said that the range, presentation, and quality of stalls was either ‘very good’ or ‘good’.